This is a late post but I hope you don't mind. 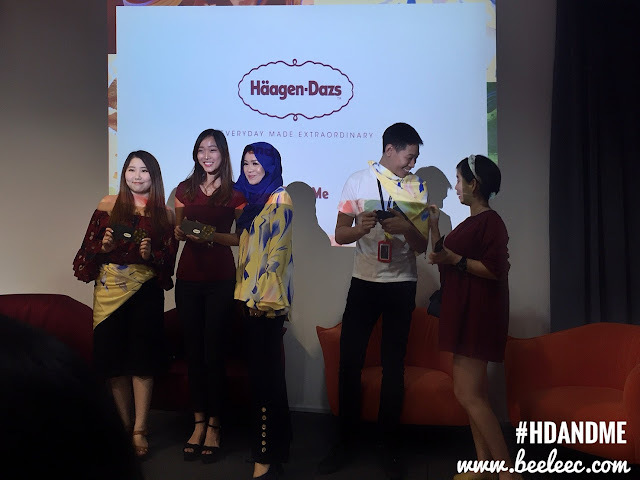 I was so so thrilled when I received the invitation for the event of Häagen-Dazs! 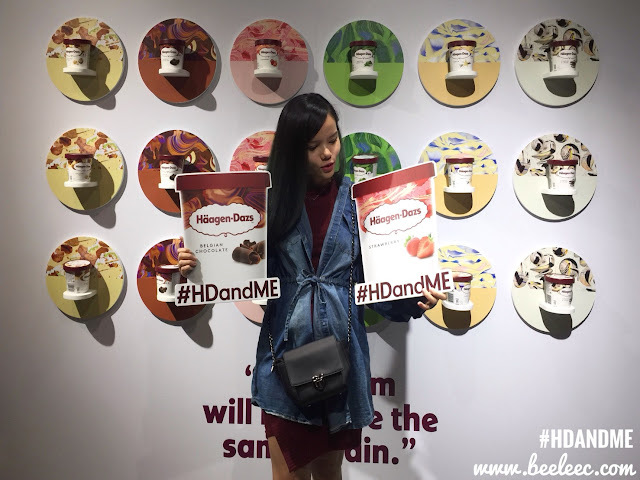 I still remember my first cup of Häagen-Dazs was about 100NT back when I was on a field trip in Takashimaya Shopping Mall, Taiwan. We were there for lunch and my friends and I got a cup of amazing ice cream. Forgot what flavor it was but yeap, that's my first cup ever as a primary school kid around 8-10 years old I think. 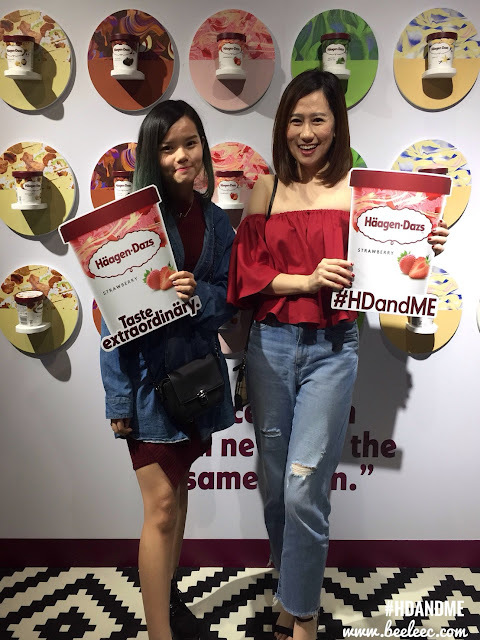 When's your first taste to Häagen-Dazs ice cream? Häagen-Dazs has been making ice cream since 1961. The company’s founder, Reuben Mattus, had a vision to make the best tasting ice cream in the world using high quality, carefully selected ingredients. Every Häagen-Dazs ice cream starts with real cream and milk, which is then blended with carefully selected ingredients. Launching with three simple flavours – chocolate, vanilla and coffee, today the brand has millions of fans in over 84 countries and is sold in Häagen-Dazs stores, major supermarkets, convenience stores and through food service channels, and has more than 24 products, including pint tubs, mini cups and stick bars with iconic flavours like Belgian Chocolate, Strawberry, Matcha Green Tea, Vanilla and Cookies and Cream. A meticulous obsession with high quality ingredients and craftsmanship. 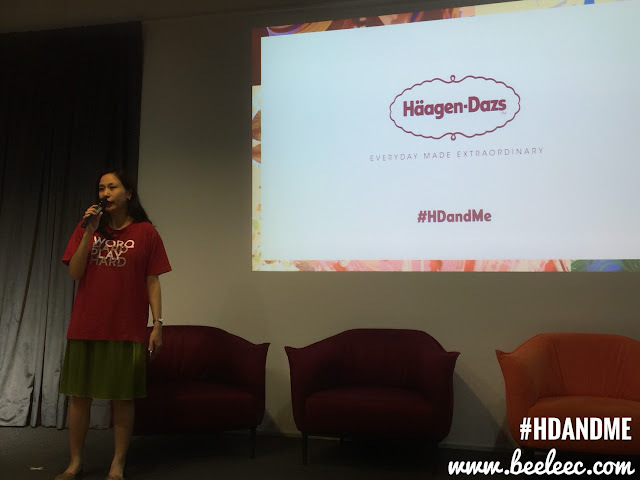 Every Häagen-Dazs ice cream starts with 100% real cream and milk, which is then blended with carefully selected ingredients from around the world, and then finally made in France. We carefully blend these ingredients to create the most extraordinary ice cream. 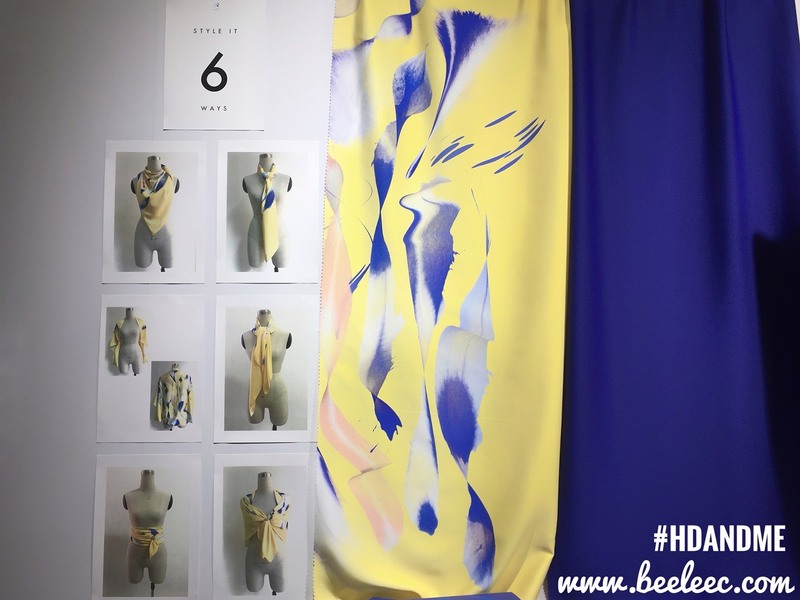 Now, the brand is redefining their design, advertising and experiential offering to make ‘the everyday extraordinary’ and to be at the forefront of what is relevant to millennials today. 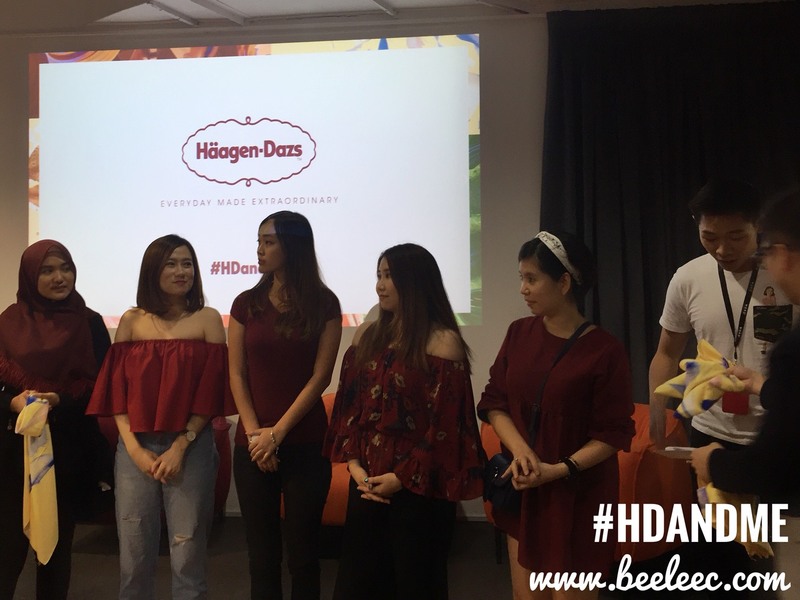 On 15th March 2018, a bold new brand reinvention for Häagen-Dazs, as the brand once again redefines the rules of ice cream for a new, trend-setting millennial consumer; a new consumer who is seeking authentic and immersive experiences they can partake in and share with others. To reflect this new vision, Häagen-Dazs has refreshed its designs; creating a bold collection of colourful, worldly and fun patterns across the full range. Thirteen world-class artists – comprising an eclectic mix of painters, 3D illustrators, flat graphic illustrators, textile designers and classic artists – were selectively chosen for their distinctive styles and were then matched to flavors they would capture perfectly. 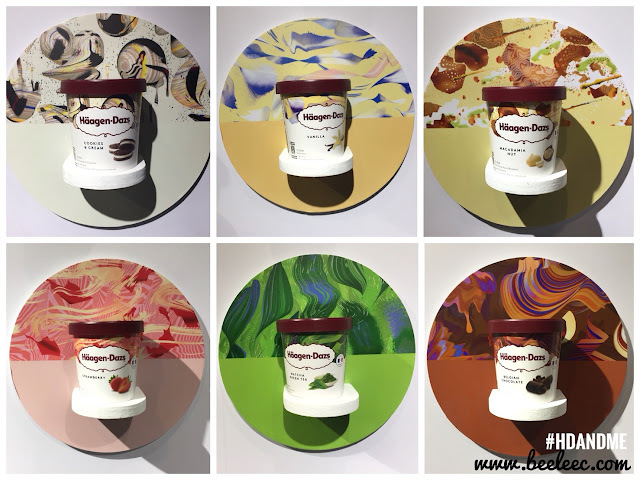 While each of the newly-designed packaging is individually beautiful, together they form a line-up of modern, extraordinary artworks; perfectly complementing the unmatched, indulgent experience one gets when enjoying each of Häagen-Dazs’s premium flavours. 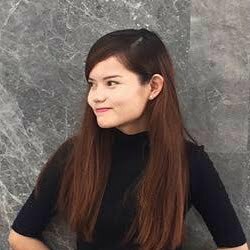 This is Stephanie Ping, CEO of WORQ. WORQ is a productive co-working community space that supports startups and communities with technology and digital co-working space (Read more at The Malay Mail Online). 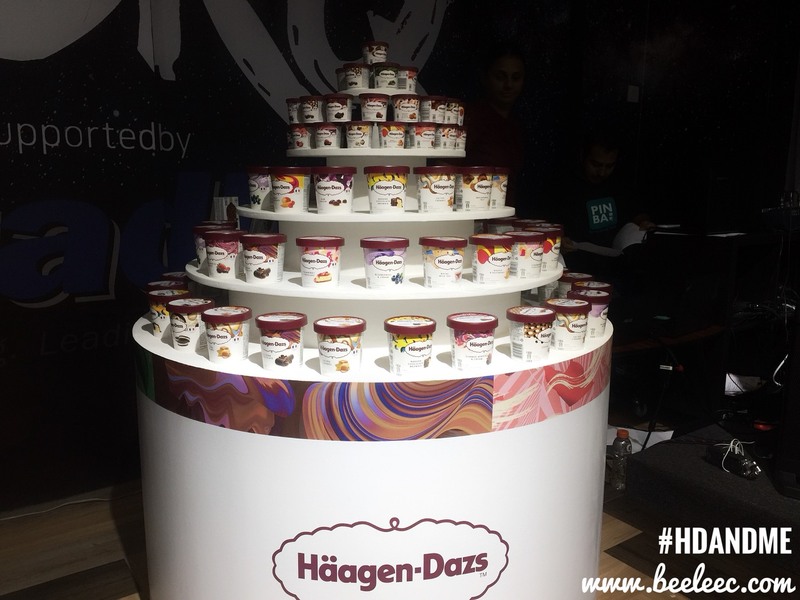 The event was a multi-sensory luxury ice cream experience in WORQ, showcasing new advertising executions and the introduction of our brand Inspirers. 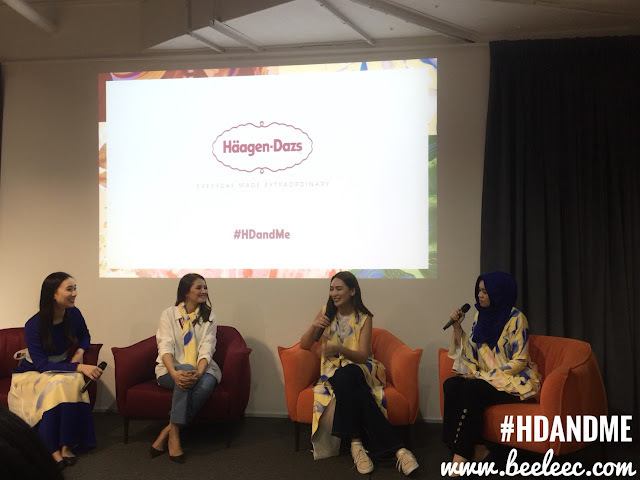 Melissa Th'ng (Emcee for the evening), Raja Nadia Sabrina (founder of Aere, Social Media Influencer & Former Lawyer), Nur Fazura (Internationally Renowned Artiste & Entrepreneur), & Jane Chuck (Well-known Social Media Influencer). Before I continue further, hands up to the success of the contemporary ready-to-wear Malaysian label founded by Raja Nadia Sabrina in 2014. 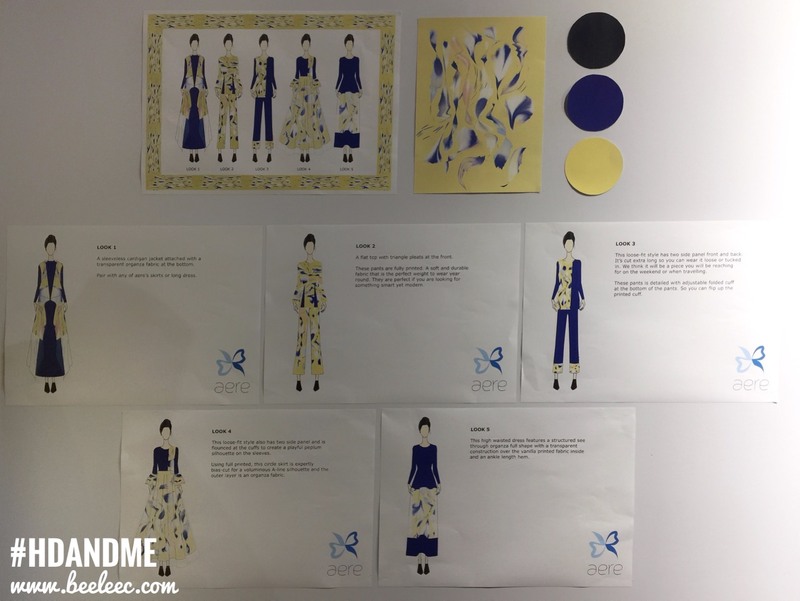 Her line has won the Best Women Wear Award at Kuala Lumpur Fashion Week 2014. I always love it when things can be worn multiple ways! I am thankful for hearing it first hand from the Inspirers on what keeps them going in the long run. Jane says: "Its important to say NO to love yourself!" 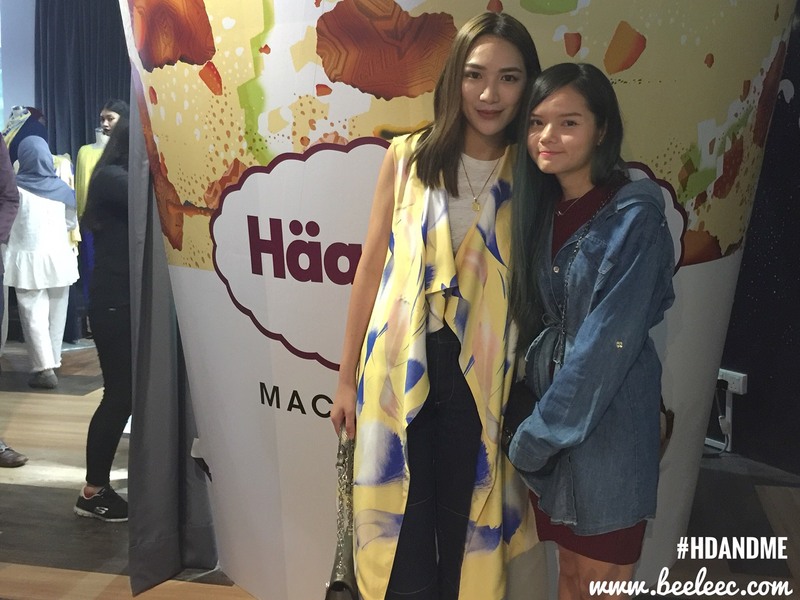 Fazura: "Be yourself by being different and make your dream a reality. If you copy others, that is just a short term happiness." I cannot agree more. Also learning everyday and ensure I am always improving myself! What do you do to keep you going? There are 3 groups on stage. Two groups with the most creative scarf tying method will win vouchers! Sporting and fun people made the whole experience a lot more extraordinarily fun! Congrats to the two groups! Congrats to Shannon, Tiffany & Betty! 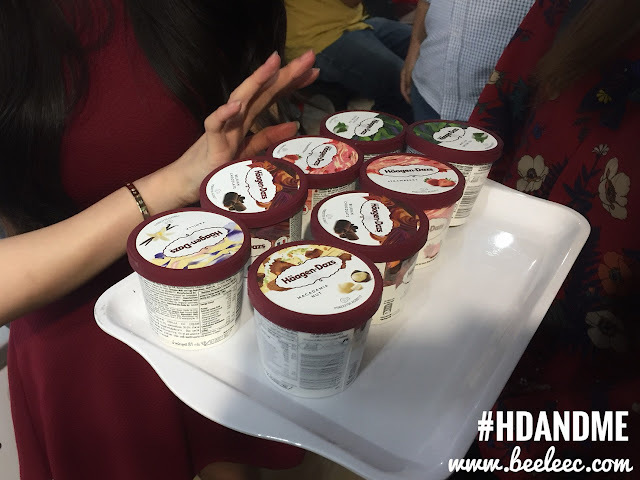 Just getting rounds and rounds of this yummy ice cream, thank you Häagen-Dazs for the amazing night! A wefie with 女神 Jane Chuck! We also had an “Instagrammable” personalized music video of our own.